Posted by Administrator on August 15, 2018. Asia has been the recent center of growth for the game of Rugby and with over two billion people living in the Continent, it’s easy to understand why. 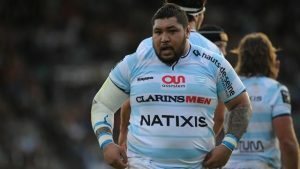 Although the big powerhouses of Japan, Hong Kong, Korea and Kazakhstan are already making a name for themselves in the XV’s variant, the next big Rugby party will arguably be at the 18th Asian Games held in Indonesia, where 12 men’s and eight women’s teams will all be on the hunt for Gold at Asia’s largest sporting multi-event. Hong Kong: As hosts of the probably the world’s most famous Rugby Sevens tournament, Hong Kong has flourished with 61 men’s teams playing in eight divisions and 25 women’s teams playing in three divisions. Taking silver in both the 2010 and 2014 Asian Games, Hong Kong will be a strong contender for Gold in Jakarta. The Hong Kong women’s team have narrowly missed out on Bronze at the last two Asian Games and will be on the hunt to finally get on the podium. China: Rugby is an official sport of China’s PLA and with the country’s Olympic strategy it has been focusing a lot of its energy on growing the Sevens variant. A big boost in the sport has been the inclusion of Rugby Sevens in the National Games of China and with both men’s and women’s teams participating, they are very serious about their hunt for medals. Thailand: Another country that is very keen on Rugby Sevens is Thailand and they will send both their men’s and women’s teams to Jakarta to achieve their dream of Gold. The men’s teams have previously achieved Bronze in the 1998 and 2002 Asian Games while the women’s team managed the same in 2010 in Guangzhou. Japan: Soon to be hosting the Rugby World Cup in 2019 and the Olympic Games in 2020, Japan has won the last three Gold medals in the men’s and a silver in the women’s competition in last Asian Games. With their sincere effort to produce world-class Rugby through growing the Game domestically, we can be sure to see some very exciting Sevens action from Japan. South Korea: Although better renowned for their XVs Rugby, Korea has won Gold in the Men’s Rugby Sevens competition in the 1998 and 2002 Asian Games. Having competed in world-class Rugby Sevens tournaments such as the Hong Kong Sevens since the 1980’s, South Korea is sure to be a serious medals contender at these next Asian Games. Chinese Taipei: Considered by most to be a strong Eastern Asian Rugby country, Chinese Taipei missed out on Bronze in 1998 before securing Silver in 2002 in the Men’s competition. With no end to the supply of quality players, will Chinese Taipei finally get Gold? 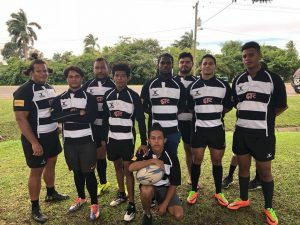 Sri Lanka: Rugby in Sri Lanka, especially the Sevens variant, enjoys enormous popularity and the national team is always a contender in any event they enter. The Tuskers will be in Pool C of the men’s competition with South Korea, UAE and Afghanistan and will be motivated to prove themselves after dropping out at the pool stages in the Commonwealth Games held earlier this year. Malaysia: Having achieved Gold in the men’s and Bronze in the women’s SEA Games last year, Malaysia is undoubtedly upping the ante and hoping to step up on the podium at the Asian Games. With serious development at all levels, more competitions being held domestically and a history of Rugby to boot, Malaysia is ready to bring some excitement to the medals hunt at the Asian Games. 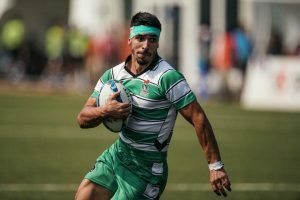 UAE: The UAE men’s Rugby Sevens team recently came out as Cup winners at the Asian Rugby Sevens Trophy held in Singapore, a feat that sees them move up to the Asian Rugby Sevens Series next year. A strong commitment to development from their Union will see them as very strong contenders for a medal position at the Asian Games. Singapore: Without the men’s team participating in the Games, it will be up to the Singapore women’s Rugby Sevens team to try to get Gold in Jakarta. A country rich in Rugby history, we can be sure to see a determined Singapore squad at the Games. Kazakhstan: Having won Gold in 2010 and Bronze in 2014, the Kazakhstan Women’s Rugby Sevens team will be coming to Jakarta with a strong resolve to win back Gold. Pakistan: Having come in 11th place at the Asian Games of 2014, Pakistan has recommitted to continuous improvement and will come to Jakarta aiming to improve their placing and also to show how far their development efforts have taken them along. Afghanistan: Being a relatively minor sport will not deter Afghanistan Rugby from coming to the Asian Games to live their medals dream and give a popularity boost to the sport in their country. 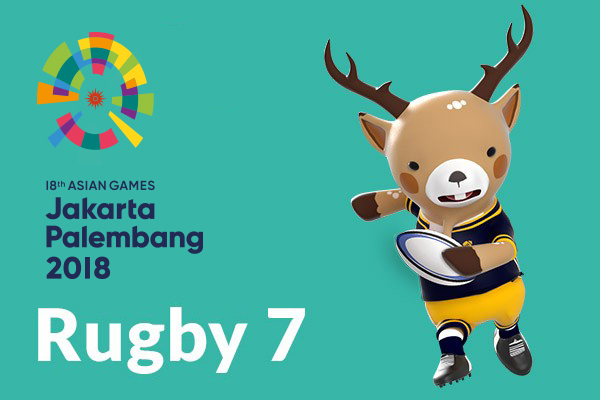 Indonesia: As hosts and with a growing number of players especially in the youth age groups, Indonesia will be looking to be more than just a participant at the Asian Games Rugby Sevens competition. With the men’s team having recently taking the Shield at the Asian Rugby Sevens Trophy and with an intense national training camp being held since January 2018, both Indonesia’s men’s and women’s teams hope to be the dark horse of the competition and be competitively in the hunt for medals. [Club Highlight] Ragbi Klub “Sinj” CroatiaOh How Superbly Super, Super Rugby Statistics Really Are!